So I've been talking about it for months and finally I got up the nerve to go crazy with my hair. 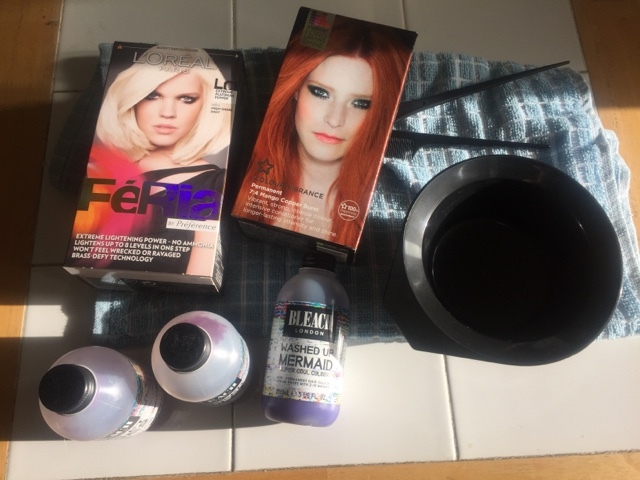 I've used BLEACH London in the past when I had pink through my hair and was impressed although in the spirit of honesty this time I had a fair bit of trouble. 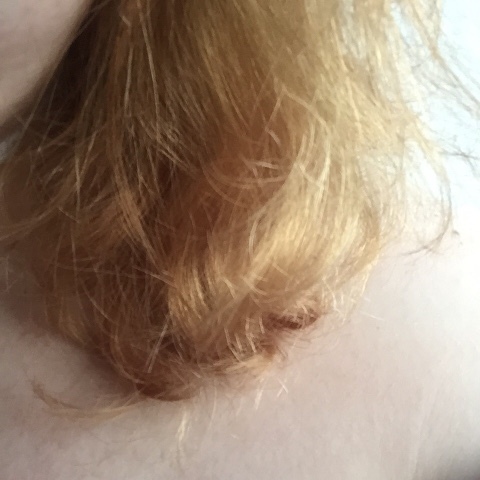 Despite having quite a bit of blonde put through my hair the last time I got it done as you can see below it was still quite a dark blonde so my first 2 attempts (once with Violet Skies and once with Washed Up Mermaid) failed spectularly. Violet skies went a horrid dishwater grey, not the gorgeous Granny grey we've all come to love and Mermaid just didn't do anything except for one pale green streak. So out came the home dyes to lighten the blonde and touch up my roots. I also enlisted the help of my best friend who took painstaking efforts to paint the actual green on to my hair as accurately as possible. The dye bowl & brush were £3 from superdrug & well worth the investment for this sort of endeavour! Much better!! 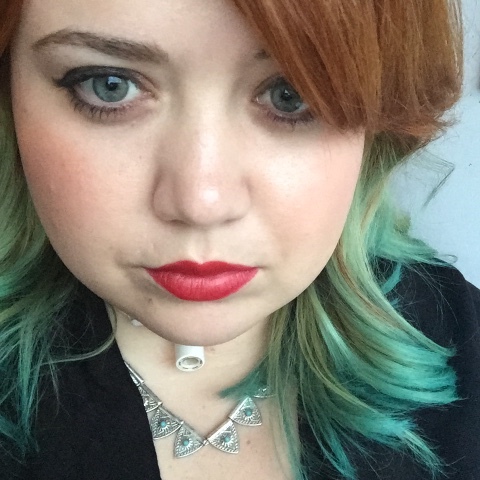 I'm completely sold on Turquoise hair now & have abandoned my plans to switch to the Violet colours next. I'm going to be investing in a few different brands to trial out longevity (already I've lost a lot of colour in the first wash but that's the fun with fashion colours!) so suggestions are greatly welcomed! Mine is Directions Turqoise. The colour longevity in my air is amazing, only need to top it up once a month or so! Directions is on my list!! Also looking at Fudge Paintbox too.